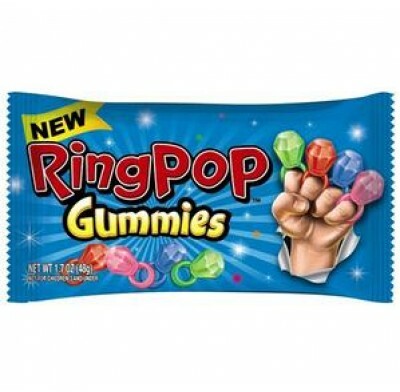 Ring Pop Gummies by Topps are a new "twist" on the classic favorite. Wear them, bend them, stretch them, enjoy them any way you like. Each box contains 16 - 1.7oz pouches.